RNIB is urging all NHS organisations and local authority social services to provide accessible information to blind and partially sighted people. The call comes as NHS England’s new accessible information standard comes into full effect on Sunday 31 July 2016. 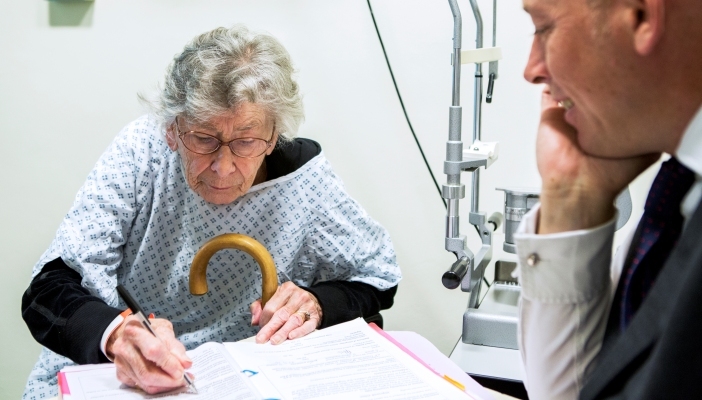 From then, NHS providers in England are mandated to provide blind and partially sighted patients with appointment reminders, letters and test results in accessible formats such as email or large print. This also means patients should not have to keep telling different provides of their needs. Fazilet Hadi, Director of Engagement at RNIB, said: “After years of campaigning alongside blind and partially sighted people, we are very pleased the NHS England accessible information standard comes into full effect on 31 July. RNIB is encouraging blind and partially sighted people to contact their GPs, health and adult social care providers to tell them what their preferred accessible information format is. RNIB has produced a toolkit called Need It to Read It for people with sight loss to help them do this. Research by RNIB in 2015 found that 40 per cent of blind and partially sighted people said information from health providers was never accessible. Read RNIB's Need It to Read It toolkit.